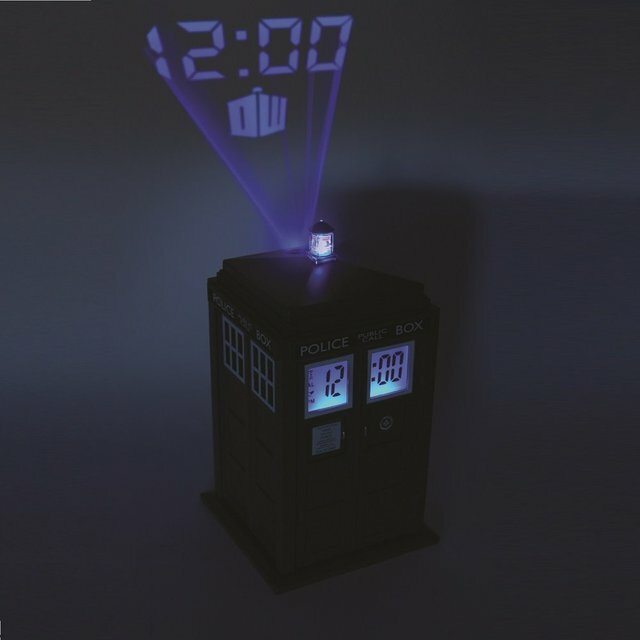 A projector clock that looks like the Doctor’s TARDIS from the BBC’s Doctor Who! The TARDIS projector rays flash the time onto the wall or the ceiling! Alarm sounds off using the familiar TARDIS dematerialization noise! The Doctor Who TARDIS Projector Alarm Clock functions just like your average alarm clock, telling the time and waking you up when you need to get up and go. But, through some amazing Time Lord enhancements, the clock is able to project the time onto your wall or your ceiling!